Johannesburg - South African business leaders are preparing for more credit-rating reductions as mismanagement hobbles state companies and after bad decisions by President Jacob Zuma, according to the head of one of the country’s biggest corporate lobby groups. “We are expecting further ratings-agency downgrades because all the things that they said we shouldn’t do, the president has gone on to do,” Bonang Mohale, chief executive officer of Business Leadership South Africa (BLSA) and a former chairperson of Royal Dutch Shell’s South African unit, said in an interview at Bloomberg’s office in Johannesburg. Fitch Ratings and S&P Global Ratings cut South Africa’s foreign-currency debt to junk in April citing concerns about policy direction, political infighting and poor governance at state companies after Zuma fired investor-favourite Pravin Gordhan as finance minister. Another downgrade to non-investment grade in the assessments for local-currency debt would exclude the nation from global indices and lead to billions of dollars in capital outflows. Moody’s Investors Service is the only major company to assess both South Africa’s foreign-currency and rand-denominated debt at investment grade. BLSA, a group of about 80 of the country’s largest companies, will be more vocal on social issues and in combating corruption, and seeking ways to transform and grow the economy, particularly after the African National Congress (ANC) elects a new leader in December, said Mohale said. 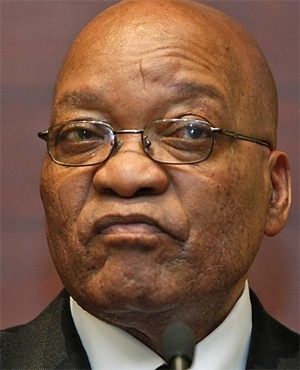 Zuma’s eight years as national president has been characterised by scandals, policy missteps and controversial appointments that have led to deep divisions within the ruling party. He is due to step down as leader of the ANC in December, with Deputy President Cyril Ramaphosa and Nkosazana Dlamini-Zuma, the former head of the African Union Commission and Zuma’s ex-wife, the main contenders for the party post. His term as president of the country ends in 2019. His successor will inherit an economy that slid into recession in the first quarter and a network of officials implicated in allegedly looting taxpayer funds, as well as a party that has been bleeding support. It lost control of economic hub, Johannesburg, and the capital, Pretoria, in local government elections last year, leading to opposition parties cooperating to run four of the country’s largest cities. The ANC’s overall support slid to 54.5% in the municipal poll from 62% in a national ballot two years earlier, the worst electoral performance since the first all-race vote in 1994.